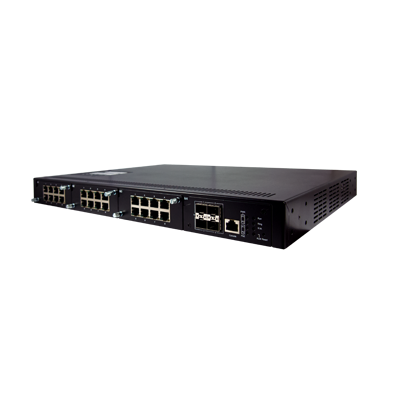 In our continuing endeavor to bring to our customers Industrial Networking products that have a wider range of Hardware platforms that are rich in features we are proud to announce the availability of our Industrial Grade, High-Density PoE Rack-mount Modular Managed Gigabit Switch, with 1G or 10G Fiber uplinks. The Modular Architecture allows us to tailor the switch on your needs. And if your needs change in time you will be able to adapt to them easily. RHG7528 and RHG7628: your ideal solution to high-density applications requiring high performance and compatitive pricing.